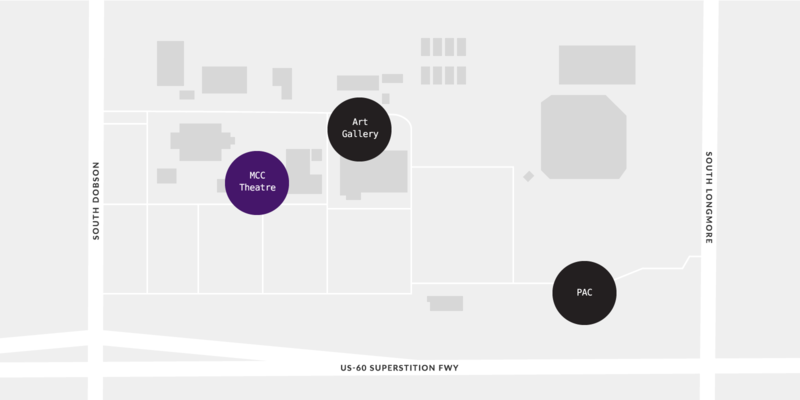 For nearly 40 years, the MCC Theatre has been an important venue for the college’s performing arts programs as well as a community landmark. The 270-seat theatre, renovated in 2012, has fostered the budding careers of thousands of students, welcomed community forums and hosted the President of the United States. 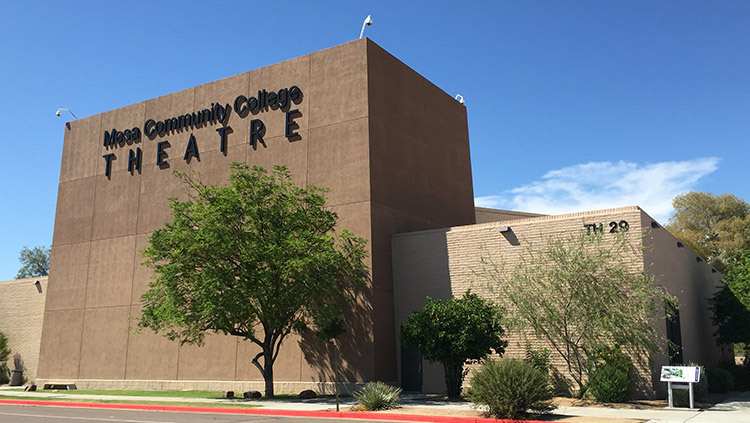 In 1978 Mesa Community College opened the doors of its first theatre facility. 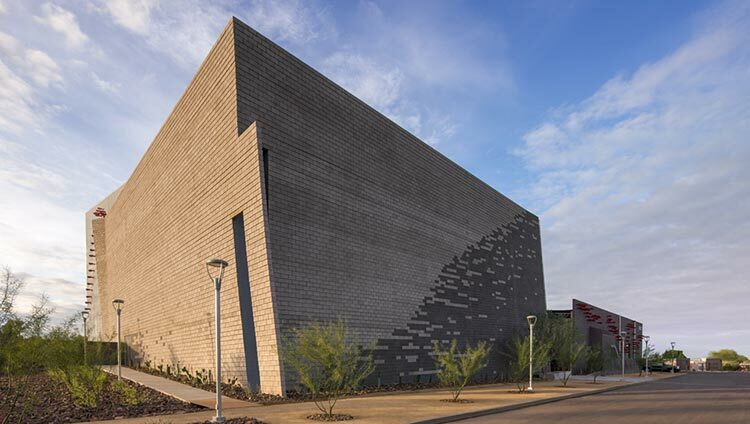 Built for about $1.1 million, it was originally dubbed the Theatre Outback because it was located on the southern part of campus with few buildings, making the area “out back” of the main campus. As the MCC campus has grown in size, the theatrical facility became simply known as the MCC Theatre. 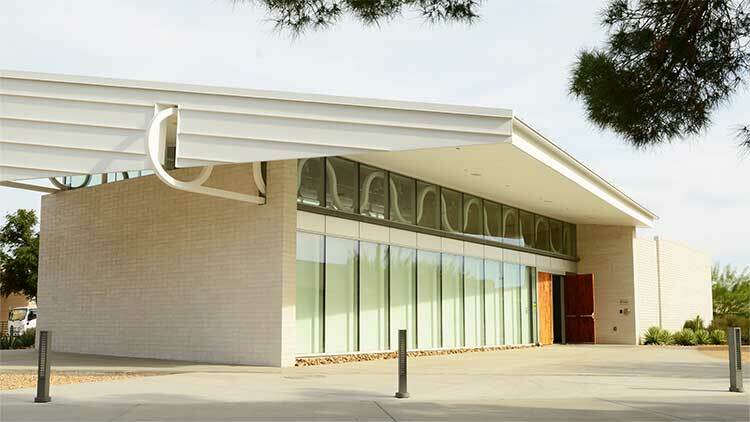 Its opening in 1978 facilitated the growth of the MCC theatre arts program. Originally intended to be a lab and performance space for theatre students, the building has hosted other events over the years, the most notable being an appearance by President George W. Bush in 2004, who came to discuss his proposed federal grant for job training programs for community colleges. The venue’s primary purpose, however, is to encourage and educate students in all facets of the performing arts. Many of MCC’s musical, theatrical, and dance productions have and continue to receive awards of excellence. In 2012 the MCC Theatre underwent a $2 million renovation. In addition to providing major architectural changes to the theatre’s lobby and west wing, the project also updated many of the theatrical systems, propelling the MCC Theatre into the 21st century of theatre technology. MCC students now have the opportunity to train with cutting-edge equipment, preparing them for careers in today’s entertainment industry. Comedy and tragedy – your life’s on the stage. Experience standing in the spotlight, your talent amplified by the sound booth, set and costumes. In the cast, on the crew or in the audience, come for the experience of your life.